The Football Association has begun an inquiry after objects were thrown onto the pitch during Sheffield Wednesday's derby match with Sheffield United. A coin and a plastic bottle were thrown at United defender Jack O'Connell during the first half of Monday's goalless draw at Hillsborough. The incident was seen by the referee and included in his match report. 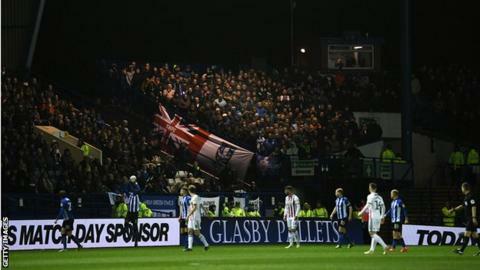 Supporters were critical of the way the game was policed and there were six arrests as rival fans clashed.